SPRINGFIELD – In the last two days, the Illinois Senate has passed multiple legislative measures to contest the recent allegation of sexual harassment in our state government. The four measures passed ensured that sexual harassment prevention training would be required for all state legislators and their staff, extended the statute of limitations for an investigation to occur, improved oversight and established a task force that would provide future legislation to fight this problem. 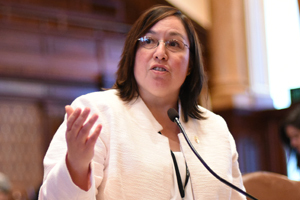 Senator Cristina Castro (D-Elgin) was recently appointed to the Illinois Legislative Ethics Commission and has co-sponsored the measures to address these problems. She became a part of the General Assembly less than a year ago and brings a new and fresh perspective to the commission and intends to be the driving force to get things done. The following op-ed by Senator Castro was published in the Daily Herald on Nov. 6. As the newest appointed member of the Illinois Legislative Ethics Commission -- essentially the internal affairs division of the legislative branch and its employees -- I'm eager to get to work. It's time for us to establish new, modern guidelines for how sexual harassment claims are handled at the Capitol. We've been remiss in this regard, and it's our obligation to do better on behalf of any future accusers and the accused. • Establishing procedures and deadlines for filling future legislative inspector general vacancies and ensuring timely disposition of complaints. Sexual harassment and gender bias are not new concepts. I would venture to say most women have experienced it at some point during their education or careers. I can recall several conversations in the workplace over the years that became inappropriate or raunchy, but I was comfortable enough to shut them down. Not everyone is able to do that, though. They rely on others to be their voice. What's stunning about the situation in Springfield is that it apparently has been going on relatively unchecked for years because of the inherent power structure. It has to stop. Porter is well known for her work trying complex cases as the corruption case that led to the conviction of Illinois powerbroker Bill Cellini and top Mayor Richard Daley’s top aide Robert Sorich, among others. Porter worked at the U.S. Attorney’s office for 12 years and was appointed chief of the office’s criminal division before leaving to join a private practice in Chicago. ELGIN – The newest member of the Legislative Ethics Commission said she intends to push the agency to be more timely and responsive in its handling of complaints. “I want to make it clear that I intend to help drive a culture of swiftness in the actions of the Commission. When there are accusations of wrongdoing, I intend to be thoughtful and fair – but the Commission should make every effort to act in a timely manner,” said Illinois State Sen. Cristina Castro, a Democrat from Elgin. Castro officially joined the Legislative Ethics Commission on Friday, November 3. She hopes to bring a fresh perspective to the commission. Castro, a former marketing and communications manager in the private and public sector, was first elected to the Illinois Senate last year. 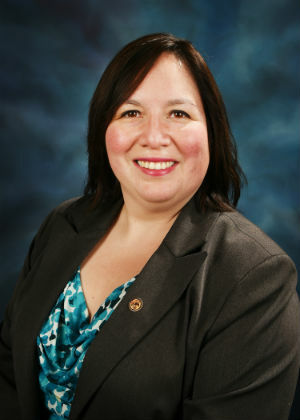 She now serves as a full-time legislator for the 22nd State Senate District. Castro said her first priority is filling a vacant inspector general post so complaints that have lingered can be investigated and adjudicated. “It’s unacceptable to have complaints sit as long as they have. That’s going to change,” Castro said. The eight-member commission is charged with ruling on findings of ethical misconduct within the legislative branch and its employees. The commission was created in December 2003 by the State Officials and Employees Ethics Act. For more information about the commission, visit its website.